Stand Landscape Architecture is working with Alex Smith Garden Design on a private residential ground-level terrace at one of Atlanta's luxury high-rises. The design is intended to be calm, modern and elegant - a space for the clients to relax, entertain and appreciate their sculptures. Very deep planting beds on grade will ensure that the terrace can support large plants so that it feels like a lush oasis in the city. 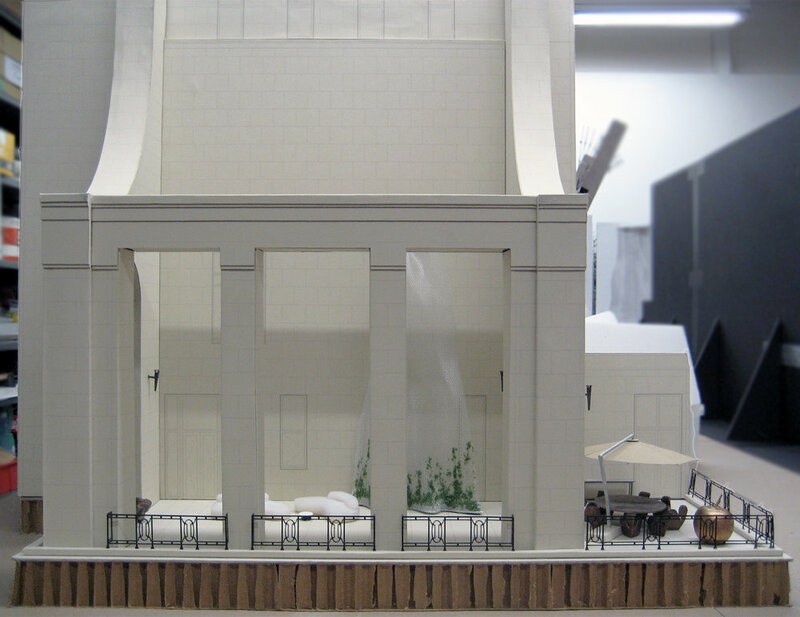 These study models were for a private residential sculpture terrace with views to Central Park. Clara Kwon worked with the client's London-based art consultant and developed design models of sculptural elements for the terraces. She worked through feasibility, design development and costing for a 30'-tall steel mesh curtain working closely with Carl Stahl's consulting engineers in Germany, structural engineer Robert Silman, the office of Robert A.M. Stern, Droulers Architecture of Milan and Italian fabricator Marzoratti Ronchetti.